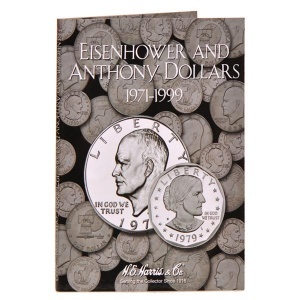 30 openings to hold Eisenhower and Anthony Dollars from 1971 to 1999. 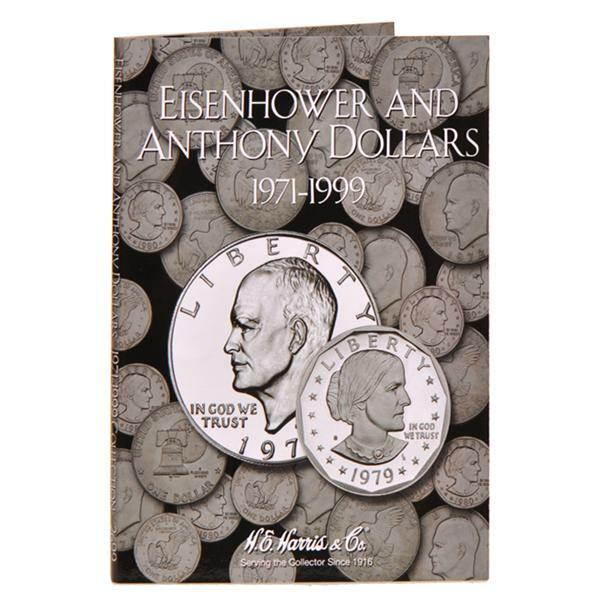 The Eisenhower Dollar was introduced in 1971 to honor President Dwight D. Eisenhower. The reverse side celebrates the first lunar landing. The Anthony Dollar was introduced in honor of famous suffragist Susan B. Anthony.